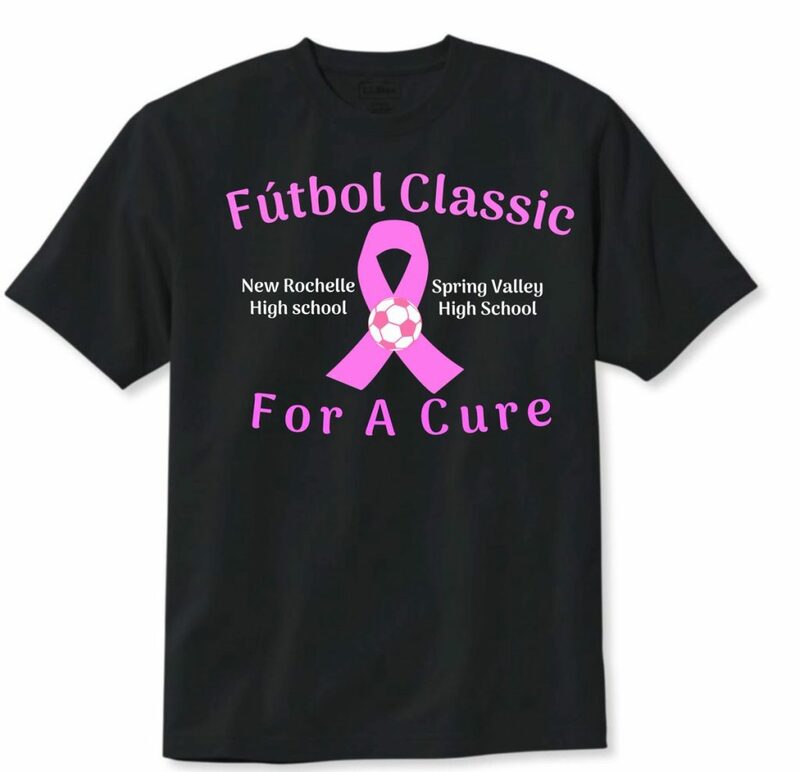 The Boys Varsity Soccer team over at Spring Valley High School will be teaming up with New Rochelle High School to raise money for breast cancer awareness and donating all profits from T-shirts sales to a charity yet to be determined. Coach Marcus has created a t-shirt design called “Futbol for a Cure” and both high school soccer teams are selling the shirts around the schools and communities. New Rochelle HS will be coming over to Spring Valley HS on Monday, 10/8 to play a junior varsity game at 1pm and varsity game at 3pm. Both teams will be wearing the Futbol for a Cure t-shirts during warm-ups and Spring Valley will be wearing pink jerseys during the game. Through social media and from wearing the shirts/jerseys themselves around school and our communities, we hope to raise awareness for the cause.